Stampin' Up! UK Demonstrator - Teri Pocock: Exciting News From Stampin' Up! Stampin' Up! have announced today that they are having a Colour Renovation!!! 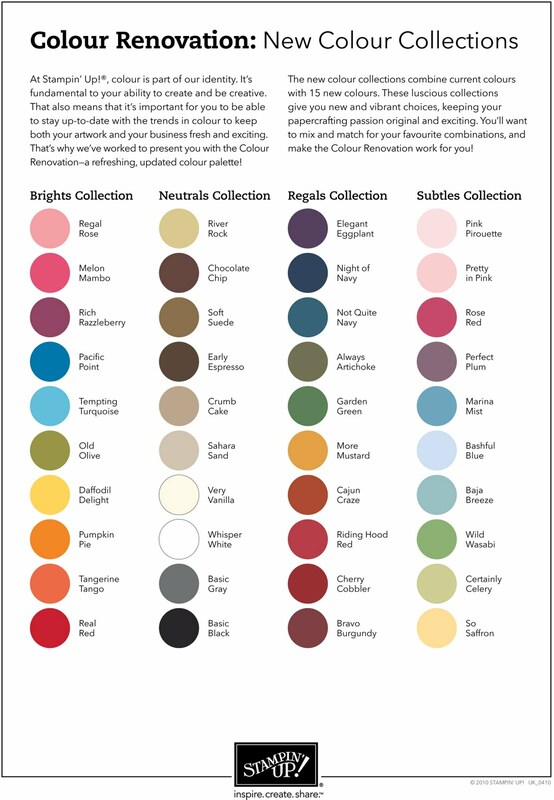 All the current colour families will be changing and will become 4 new fabulous collections!!! 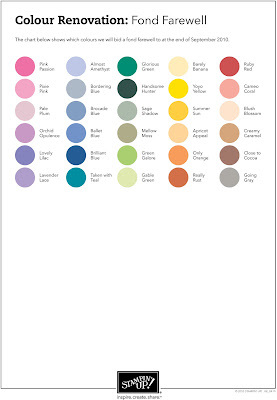 Included in there will be some of the gorgeous In Colours that the USA have had in their range over the last few years. What it means to us is that we will be keeping 25 of our current colours and getting 15 new core colours! We will also be getting an additional 5 new In Colours each year! These In Colours will stay with us for 2 years and then they will change ..... amazing! The US have had this for years, but this is the first time for the UK :o) I'm thrilled with this news! Note : Kraft hasn't gone ... it's been re-named Crumb Cake ..... yummmmm! This change is NOT going to happen immediately! It will come in when we get our new catalogue in October ...... so do not panic!! !